Want to get a Disney Dining Plan (DDP) but not sure the best way to use your credits? Or not sure if you should get the dining plan? Having a good idea of the costs and how to maximize credits should help you figure all of that out. Let's take a look at the details of the DDP and see how to get the most out of it for 2019. What do you mean by credits? How do I keep track of my credits? What about kids under age 3? What does a credit include? What about the best snack credits? What if you don't have enough credits? What happens if you wind up with credits left over? When people ask us about the Disney Dining Plan one of the first things they want to know is whether or not it is "worth it." And, although we wish there was any easy answer to that question, there really isn't. 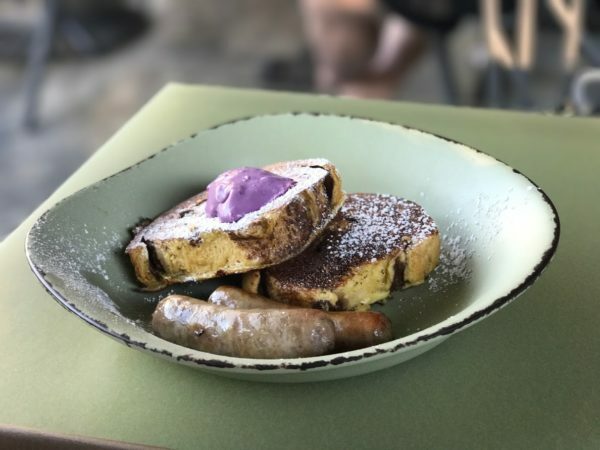 The fact is, before you can decide if the Disney Dining Plan is right for your family (and ultimately worth it), you have to know exactly what it is and how it works and then you may need to do a little math (more on that below). When you buy a DDP you are pre-paying for your food (and snacks!) and then using credits to get meals during your trip. For each night of your reservation (and depending on which plan you purchase) you'll be allotted a certain number of credits. Lots of people think that you get the same number of credits as the total number of days, but that's not how it works. Your credits are allotted based upon the number of nights. So for a 6 night/7 day vacation, you'd multiply the number of daily credits the plan you are purchasing receives times 6 (not 7). And the Disney Dining Plan is purchased for the length of a reservation. You can't just add it for part of a reservation. Using your credits is quite easy. You'll simply scan your MagicBand at any of the restaurants, kiosks, and carts that take the Disney Dining Plan and the appropriate number of credits will be deducted from your account. You'll have access to your credits until midnight of the day you check out so if you have any leftover credits you can spend them up before you head home! On your arrival day, your Disney Dining Plan is activated when you check-in (whether in person or online), and even though the official check-in time is usually 3 pm, you can check-in early if you want to hit the parks or grab a meal before then. Disney makes it very easy to keep track of your credits. Credit balances are available on the bottom of the receipts you get after "paying" for a meal or snack. You can also find your Disney Dining Plan balance inside of the My Disney Experience app under the "My Plans" section. Select your resort reservation and you should then see an option for Dining Plan. If you ever find that the credit balance isn't accurate (mistakes do happen! ), make sure you talk to your server (if you are still at the restaurant). Or, if you've already left, a Cast Member at your resort will be able to help you. There are a few different reasons that people might choose to get the DDP. This is why we like using the Dining Plan on our Disney World trips with our families. When your food is pre-paid, it can make your trip more fun when ordering isn't about checking prices so closely and worrying about the tab. If you are looking for that all-inclusive feeling, adding one of the Disney Dining Plans to your vacation is the best way to achieve that. Disney sometimes offers the Free Dining promotion which allows guests to get the Disney Dining Plan for free. As you can imagine, this is a very popular promotion and lots of people plan their trips around it. There are some downsides to Free Dining, though. First of all, if you book a trip using the Free Dining promotion, you give up the ability to use other promotions, and sometimes the other promotions offered at the same time might actually save you more money. And not every resort category offered provides the same amount of savings with Free Dining. People staying in Deluxe Resorts are often better off using a room discount than Free Dining. If you play your cards right, you can actually save money on food by purchasing the Disney Dining Plan, and then eat meals that would have cost more than the dining plan. This is getting more difficult to do and takes some planning. That's what the info below will help you do. 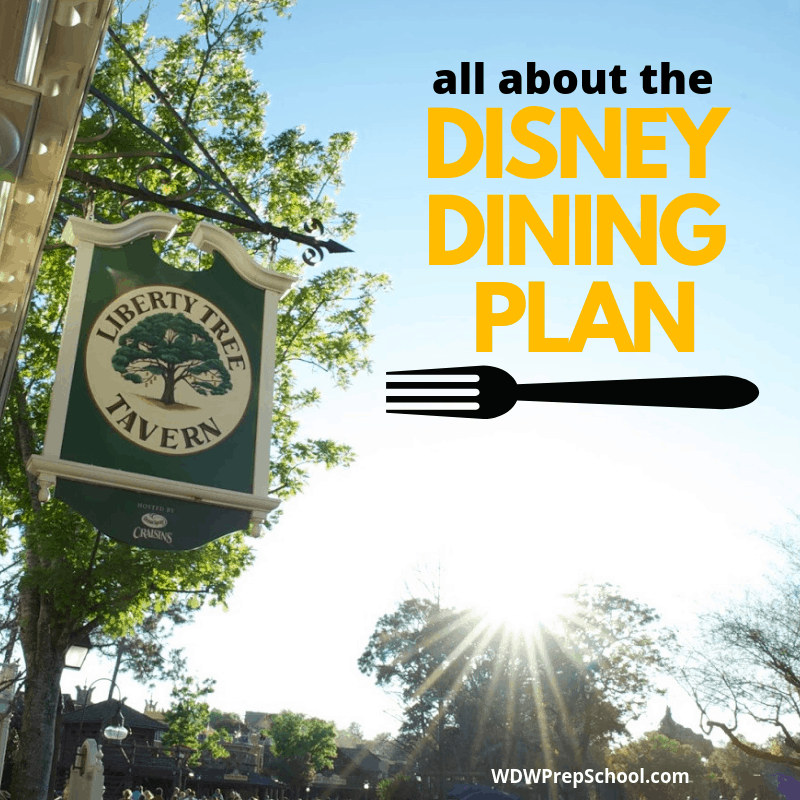 There are 3 main versions of the Disney Dining Plan that most people purchase. All of these plans include 1 refillable mug per person which can be refilled at any resort, but not in the parks. You get the credits listed above for each night of your trip. All of the credits are loaded to your account at once and can be used however you'd like during your trip (you could use 6 credits 1 day, 2 the following day, etc.). It is sometimes possible to use your credits to pay for other people's meals (even if they aren't on the Dining Plan), however, Disney has said that decision is left up to the management of each restaurant. Gratuity is not included in the costs above (except at dinner shows and Cinderella's Royal Table), so factor that in when deciding if the Disney Dining Plan or specific restaurants make sense for you. Guest ages 2 and under don't require park tickets, and they don't require a dining plan either. At buffets, kids under 3 can have their own plate. At all other locations, they can eat off of your plate. Some people want to buy the Disney Dining Plan for their little ones, but if you booked a vacation package that includes room and tickets, adding a dining plan for your little one requires that you also buy them park tickets so that's not generally a good idea. If you want your toddler to have their own meals, you'd be better off just paying out-of-pocket for them. A Quick Service credit includes an entree and a drink from a Quick Service restaurant. 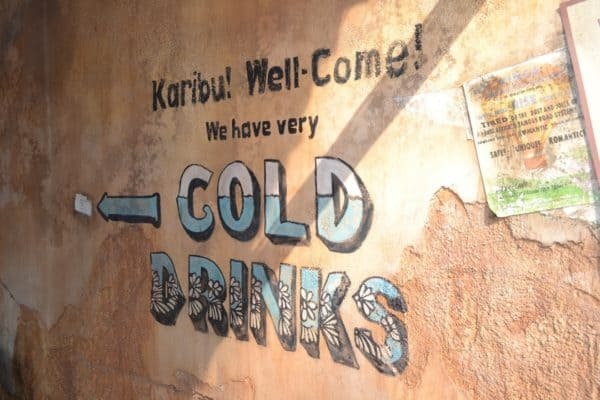 Guests under 21 can choose from the regular fountain drinks & milk as well as from specialty drinks offered at that location (smoothies, shakes, hot chocolate, etc.). Guests 21 and over can choose from any of those options plus they can also choose to have 1 single-serving of a mixed drink/cocktail, beer, or wine. Not every restaurant has the same options so if you have your heart set on a cocktail or shake you'll want to make sure you're planning on eating somewhere that has those. Side note: dessert stopped being included in 2017, but Disney did increase the number of Snack Credits per day back then from 1 to a total of 2 which means you can still get dessert if you want, you just aren't limited to the selection at the restaurant, which is a much better option in our opinion! Quick Service credits aren't separated into child or adult categories, so you can get adult meals for your child. You can also use 1 Quick Service credit to purchase 3 DDP-eligible snacks, as long as they're done all in the same transaction at the dining location. 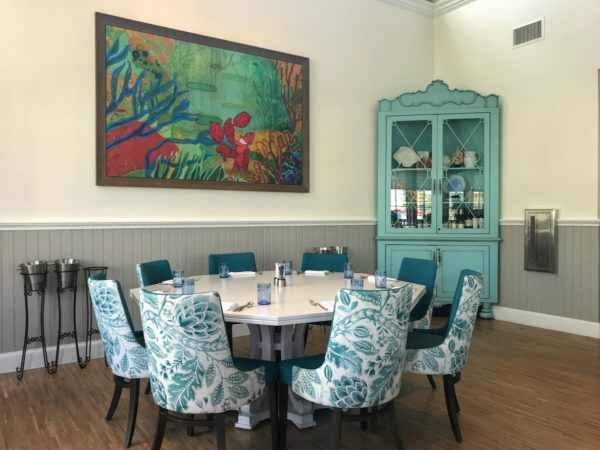 Most Quick Service restaurants (except for Be Our Guest breakfast and lunch services) do not require Advanced Dining Reservations and function like most fast-food restaurants. 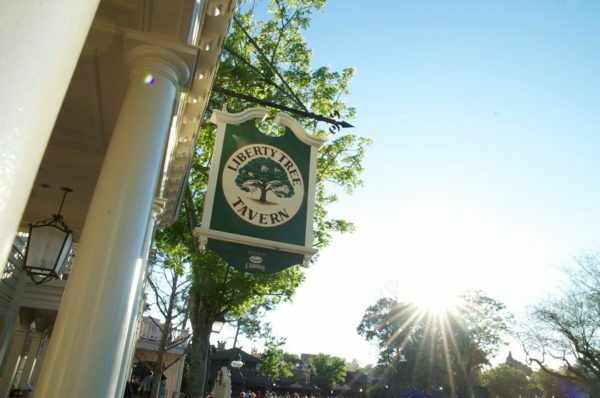 Table Service credits include a drink, entree, and dessert from a Table Service restaurant (except at breakfast which doesn't include dessert). Note: people using the Deluxe Dining Plan also get an appetizer with their Table Service credits. Most Table Service restaurants usually require Advanced Dining Reservations. Advanced Dining Reservations for Table Service restaurants can be made starting at 180 days out from the date of your trip. One other important thing, there are some restaurants at Disney World that require 2 credits. These are known as Signature Restaurants, and if you are planning on dining at one of those, make sure you take that into account when allocating how to use your credits. Snack credits can be used for many things including bottled water, ice cream and bakery items. You'll see the DDP icon next to these items on menus throughout Disney World. That means to break even on the Disney Dining Plan, you'll need to choose food that costs at least that amount. There are huge lists below detailing every Table Service and Quick Service restaurant and the value of a credit at those locations. Character meals and dining packages are generally a great use of a credit. Signature Restaurants are almost never the best way to maximize a credit since they require 2 Table Service credits per meal but don't cost twice as much if you were paying out-of-pocket. Go for the steak, lobster, shakes, alcohol, and orange juice. Those are often the most expensive options so take advantage when they're on the menu. Don't choose breakfast when trying to maximize most DDP credits since it is usually much less expensive than lunch or dinner. On the Deluxe Dining Plan? Add the cost of an appetizer to the value of each credit. Want the values shown above in a spreadsheet so you can sort to your heart's content? Snag that here. After seeing the Table Service and Quick Service charts above, many people wonder why we don't have one for snacks. The reason is simple: there are just way too many to track and the list changes constantly. However, this spreadsheet of confirmed snack credits that was created by others is the best source for snack credit info. In general, you are getting a good value for your snack credit if the item costs $5 or more. 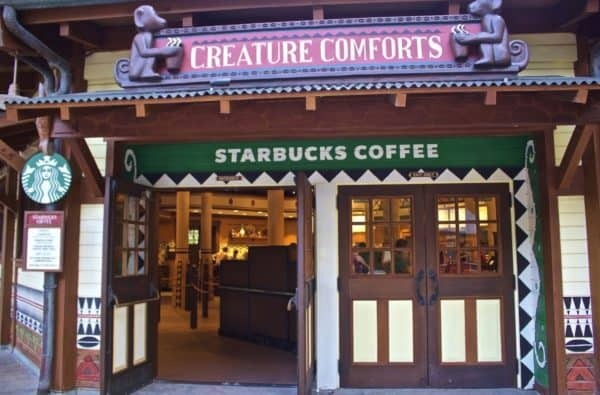 The most valuable snack credits are often for specialty cupcakes, items at Epcot festival food kitchens, and Starbucks drinks (especially since extra flavors don't cost you any more credits). If your restaurant plans will require more credits than you have, you should plan to pay out-of-pocket for the restaurant that's ranked the lowest on the charts above. Don't waste those expensive credits on a less-expensive meal. Instead, pay out-of-pocket for the cheapest meal on your list and use your credits for the others. This is one of the huge downsides to the Disney Dining Plan: you either use them or lose them. If somebody gets sick or you miss a meal or decide to skip something because you are having too much fun someplace else, you don't get the value of those credits back. Back to this big question. If you have somebody in your family that won't relax because they are constantly worrying about the price of things then the Disney Dining Plan might be worth it for you. Knowing what your food costs are going to be before you leave home can definitely help ease any anxiety about that. First of all, you'll need to decide where you'll be eating. Make a list of all of those places. If you are comfortable using Google Sheets or Excel, plug that info into there. Then, head to the menus and decide what you think you'd like to order. Make sure you include the price of dessert (if you usually eat dessert) and whether or not you'll have a cocktail (or two). 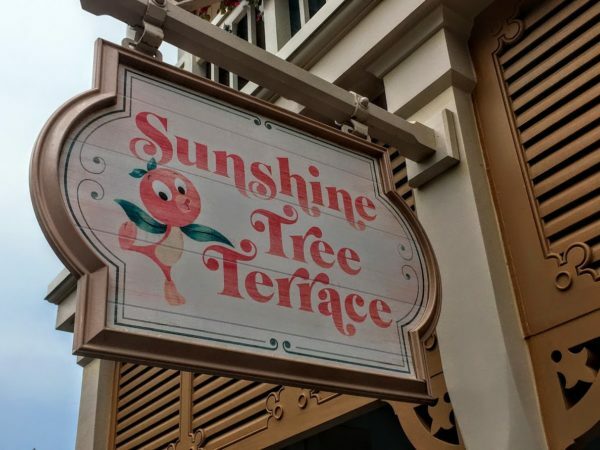 Keep in mind that while most restaurants take the Disney Dining Plan, a few do not so you'll want to check to make sure the restaurants you are planning on dining at are listed up above. If they aren't, keep that in mind when doing your calculations. Jot down the prices for each person and total it up. You aren't looking for perfection here, just a good estimate as to what an average meal might cost your family. When you are done, compare that cost to what the price of the Dining Plan would cost you. 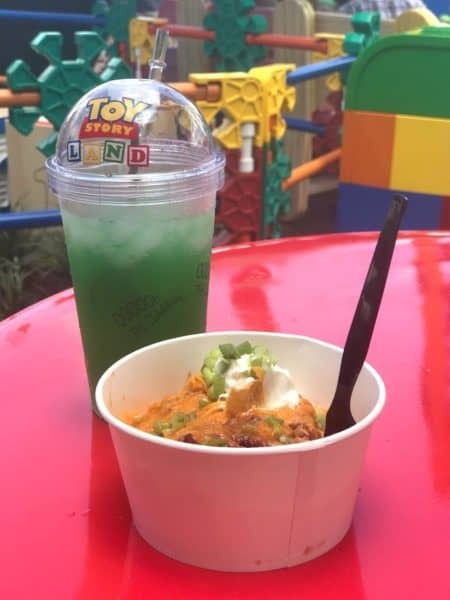 If it is close, it is probably worth it to go ahead and get the Dining Plan since the Dining Plan is also going to include snacks and a refillable mug. you switch up what you plan to order to maximize your credits. And, of course, if you come out ahead - the decision is easy. 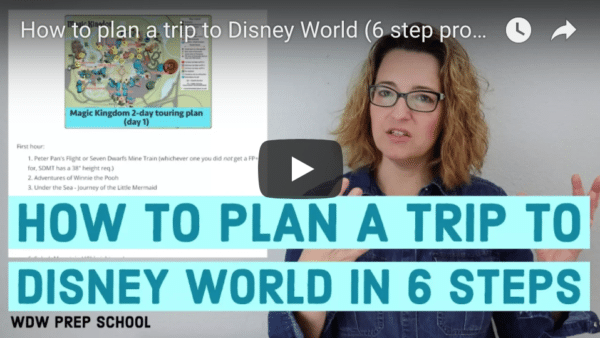 The Disney Dining Plan would make perfect sense for you then! Of course, you'd get snacks and mugs with the Dining Plan (and that definitely adds value! 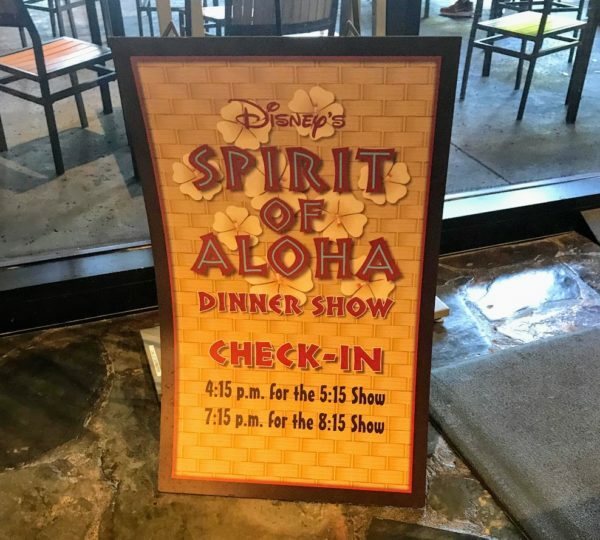 ), but you can see where it becomes important to look closely at the numbers and restaurants you are choosing if your goal with the Disney Dining Plan is to save money. Interested in having an agent book your trip, make your dining reservations, and help you maximize your credits? Get started on that now. Have a comment or question on using the Disney Dining Plan? We'd love to hear your thoughts in the comments. I don’t agree that the 2 credit dinners don’t make it past the price. we ate at Jiko this year and paid well over 2x a table service credit. Is there an option to use credits at a restaurant not on the dining plan and pay the difference? You can do this with the dining plan at Disneyland Paris – we ate at the amazing Ratatouille theme restaurant used our dining credits and then paid the difference, which wasn’t that much. This meant we got to experience the incredible decor (almost better than the Ratatouille ride!) and eat really great French food whilst escaping eating yet another burger and chips type meal. Disneyland Paris keep the fact that you can do this really quite secret and it was only from reading tips on a non- Disney website that I found about it. I was wondering if WDW also has a similar ‘secret’ option to use credits at restaurants not listed on the plan? If i use my quick service meal credit for 3 snack, do i also get to order a drink? Quick question, if we want to calculate the average cost per meal to make a spreadsheet to compare to the dining plan would you recommend using a number in between your max and average? the lists are fabulous! This post is amazing! I love the hyper-detailed info, as that’s how I like to plan. We have free dining this fall, and it’s also our first time on the dining plan. I just went through the snack list and wrote down best values that we’d like to try. And I never would have known about the Rivers of Light package at Tusker House without this post. We missed the show last year, so my husband is really excited we’ll get to see it and get a great dinner value, too! These don’t seem to be the pricing with an alcohol drink included – chefs de france for instance is $30 average for dinner, $10 average for desert then a glass of wine is another $9 or so – yet you show it as a $35 average value when it is really a $49 average value… Quite a difference. So we are doing 8 days and 7 nights at disneyworld with the disney dining plan, one quick service and one table service, with 2 snack credits. we are going to universal for 2 days. i was thinking a big buffet for breakfast then quick service at dinner, since we will be eating lunch at universal. what do you recommend? There’s two places you can see all of your entitlements: 1. The concierge desk can print out a page with your remaining entitlements or 2. all of your remaining entitlements will be on the bottom of the receipt after dinner. One thing to note is that it will lump all of your entitlements together by reservation. So if you have 11 people on one reservation it will say Table Credit: 11 Quick Service Credit: 11 Snack Credit: 22. Another thing to note is that even though the entitlements say per-person-per-day, anyone in the party can use more than their daily allotted amount against the total amount for the party. For example 1 person can have 3 snacks in a day or a couple can use 4 credits for table service that will take away from the total for the reservation. It will not itemize who has what credit for individuals. Only as a group. You can also see your credits remaining at any time in the Disney app! You’ll just be charged for the appetizer and anything that’s not part of your entitlements. I’m wondering how it will work if we use table service credits and share meals, but maybe add an appetizer to round out our meal. Is this allowed? Will we just be charged for the appetizer? Is sharing (of course, at non-buffets) allowed? We’ve never shared meals or added extras when we had the DDP in the past! Just saw that after you commented. It was an error to have California Grill listed as having gratuity included and has now been corrected. The only ones that do include gratuity are the dinner shows and Cinderella’s Royal Table. Hope that clears it up! You really should pay gratuity. Tipping practices vary widely across countries, which I’m sure is the case here. Servers in the US are paid only a few dollars per hour and depend on gratuity for the majority of their income. So it is a choice, but please tip your server! So, can I get the Curtain Call $11.25 as my drink with my Salmon for dinner and both be covered by my quick service meal credit? Hi, thanks for the much needed information! I just had a question: do you have to pay the gratuity? I have worked at Disneyland Paris in TB restaurants and did not receive any gratuities so this wouldn’t seem fair to me. Is it included on the bill or a choice that you can make? Hi, Kevin! Yes, we included alcoholic beverages in the calculations at the restaurants where alcohol is available. Curious about your average prices in the tables above. Now that alcoholic beverages are included in the meal plan, are they incorporated into the prices above, or should I add that cost to the above prices when calculating whether the DDP is worth it to my family? just book a room only for any discount that comes out. the cancellation period is better and you can always add tickets later and you can make DDR without the dining plan, which can also be added latr. We show a $39 average value. The average price includes a non-alcoholic drink. The maximum value includes an alcoholic drink. is it better to book a room and basic park tickets now or wait to see if my dates are available for free ddp ? I just booked a dinner reservation at Hollywood & vine for fantasmic, I have the dining plan. On the confirmation email it says I will be charged 1 dining and 1 deluxe dining entitlement. Am I misunderstanding or is it going to be 2TS credits or will I have to pay out of pocket? can you swap out dessert for a side salad? The math is a little fuzzy to me. You say the adult plan is $75.49/day. You equate snacks at $5 each ($10/day), QS at $18.00/each, and TS at $41/each. That only totals to $69/day… where is the other $6.49??? Multiple question marks always seem so stressful to me! 🙂 Part of that is tax ($75.49 includes tax, while the estimated values for each credit don’t), and part of that is refillable drinks. I’m wondering why there is a distinction between lunch and dinner prices for CRT? I have looked at reservations for both time periods there recently, and it looks like they’re always the same price and now have the same menu. This is why we did breakfast there last May instead – no price break on lunch. The original lunch price here didn’t take into account the tip. Now that it’s been added in, the lunch and dinner prices are the same. I just checked Ale & Compass at the Yacht Club and it says it doesn’t accept the DDP. I’m guessing that’s because it’s a new restaurant? Anyway, I just wanted to point that out. Maybe it will be included later in the year. HI! I was wondering if you could hep me with a doubt I have. If I am on the regular Disney Dining Plan, can I change the Table Service dessert credit for something else? Neither my husband or I are very big dessert fans and I know the Table Service credit includes drink, main dish and dessert. Thank you so much for your help! From what I heard, one can forgo drink I. Quick service, and order instead a dessert? Is that correct?